Many avoid activity because of knee pain, but movement is exactly what is needed. It is perhaps the ultimate exercise catch-22: it's hard to move with knee osteoarthritis, but moving helps relieve osteoarthritis knee pain. More than 30 million Americans have osteoarthritis, the most common kind of arthritis. While osteoarthritis can affect the hips, lower back, neck, and fingers, it occurs most often in the knees. 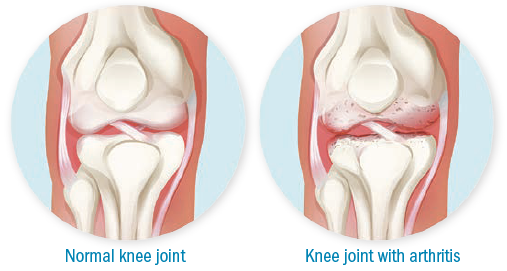 In fact, an estimated 10% of men ages 60 and older have symptoms of knee osteoarthritis. "The condition slowly wears away joint cartilage so the surfaces of the shin bone, thighbone, and kneecap rub together, which can lead to pain, swelling, and inflammation and make movement difficult," says Dr. Adam Tenforde, sports medicine physician and an assistant professor of physical medicine and rehabilitation at Harvard Medical School. Osteoarthritis is more common as you age, but a family history of the disease or a previous injury can further increase your risk. Taking nonsteroidal anti-inflammatory drugs, such as ibuprofen (Advil, Motrin) or aspirin, can temporarily soothe arthritis pain and inflammation. Steroid injections also may offer short-term relief. But an easier and safer way to manage symptoms is to simply get moving. In knee osteoarthritis, cartilage wears down until the shin, thigh, and kneecap rub together, causing pain and inflammation. Your bones and cartilage need regular movement to keep them healthy, and also to strengthen the knee's surrounding muscles, which protects the joint from excess stress, says Dr. Tenforde. 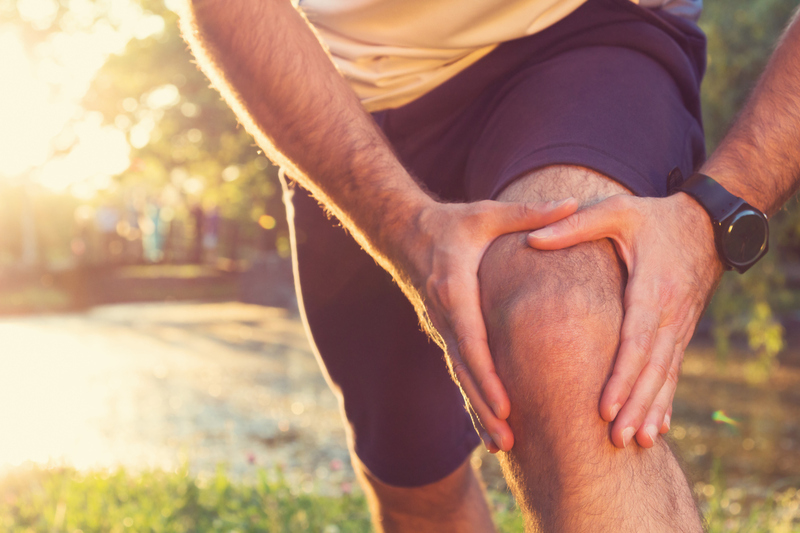 Not only can being active keep knee osteoarthritis from becoming worse, it also may reduce the risk of getting the disease in the first place. A study in the June 2017 Journal of Orthopaedic & Sports Physical Therapy reviewed 17 studies that involved almost 115,000 people and looked for a connection between running and osteoarthritis in the hip, knee, or both. Researchers found that only 3.5% of recreational runners — people who run for exercise and also compete in races like 5Ks, 10Ks, and half marathons — got knee or hip osteoarthritis, compared with 10% of people who were not active. Also, a 2015 study found among people who had mild knee osteoarthritis or were at risk for the disease, those who walked an average of almost 7,000 steps per day — about 3.5 miles — did not experience any additional cartilage loss over a two-year period. If you have a high level of knee pain that makes movement difficult, Dr. Tenforde recommends you begin with lower-impact activities that place less stress on your knees. For instance, swimming and other forms of water aerobics offer buoyancy, so there is less impact on your knees. Elliptical trainers and stationary bikes are also good low-impact activities. "The goal with these exercises is to keep pain at a minimum as you progress to doing longer workouts and eventually adding other activities," says Dr. Tenforde. Also, don't be afraid to participate in higher-impact weight-bearing activities that require constant movement, like walking, running, and recreational sports. "Just make sure to build up to them. For instance, you can begin with a run/walk program, or work out on a treadmill or other soft surface," says Dr. Tenforde. Your knee pain also may stem from a biomechanical issue that can wear down the joint at a faster rate. A physical therapist can analyze how you move to see if you have an alignment issue or if the way your foot lands places extra stress on your knee. "Changing how you move can help ease existing pain as well as reduce your risk of a knee injury," says Dr. Adam Tenforde, a Harvard sports medicine physician. Sit on a chair with both your legs bent at a 90° angle. Slowly raise your right leg so that it's parallel to the floor (or as close as possible) while you keep your left foot on the ground. Hold for 30 seconds, then slowly bring the right foot back to the floor, and repeat the movement with the left leg to complete one set. Do 10 times, twice a day. "You need to be proactive when it comes to protecting your knees from osteoarthritis," adds Dr. Tenforde. "Regular physical activity and strengthening can go a long way to reducing your pain and improving function." Another way to manage knee osteoarthritis pain is to lose excess weight. Osteoarthritis is likely to progress faster and further in overweight people. "Every little bit counts, too," says Dr. Adam Tenforde, a sports medicine physician at Harvard Medical School. "For every pound you lose, there is four pounds less pressure and stress on your knees with every step."